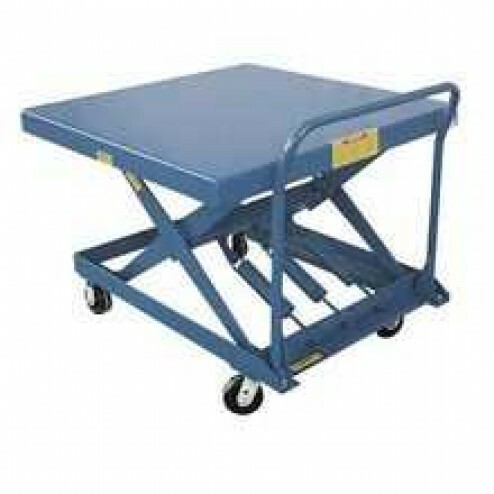 The 48" x 48" platform can easily be raised and lowered by the adjustable tension springs which makes loading and unloading materials up to 2000 lbs easier and safer. With the Vestil SCSC-2000-4848 Auto-Hite Scissor Cart materials are easily loaded and unloaded by raising or lowering the cart. Service Range: 17" to 37"